Transfer pricing is a complicated and contentious issue. While the tax authorities are interested in ensuring maximum tax incidence yet companies and other stakeholders are interested in minimising the same. 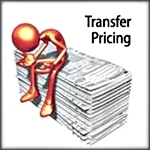 Transfer pricing legal issues in India have also given rise to many litigations and disputes. A need was felt to streamline the transfer pricing law of India and the finance ministry of India is now in the process of devising clear guidelines for contentious transfer pricing cases, especially for handling the grey areas. India has been using the monetary threshold criteria to invoke compulsory transfer pricing audit. Now India is contemplating scrapping the monetary criteria and use the risk based approach towards potential tax revenue loss. Further, the corporate compliance requirements in India have drastically changed after the passing of the Companies Act, 2013. Collectively companies operating in India would be required to comply with multiple laws of India to keep themselves away from prosecution radars. According to New Delhi based corporate law firm Perry4Law, India has been struggling hard to deal with transfer pricing and taxation issues. Companies like Vodafone, Nokia and Shell have already received notices from income tax authorities of India regarding transfer pricing and other taxation issues. Indian government has also proposed establishment of Income Tax Overseas Units (ITOUs) of India in foreign countries. With the present mood it is obvious that Indian companies and multi national corporations (MNCs) would be very cautions in their local and international dealing. In fact, Indian tax department has already received 232 applications from MNCs In 2013-14 for advance pricing agreement. Similarly, ownership changes and merger and acquisitions among Indian companies and MNCs would also be under scrutiny. Once a stable government would emerge, the transfer pricing regulatory regime would definitely be rejuvenated in India.